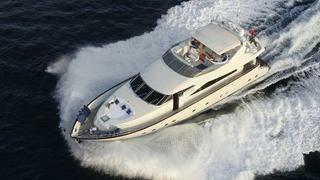 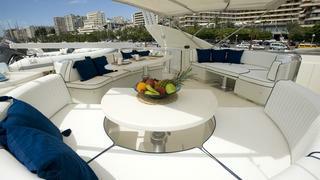 WHITE FANG has an elegant & stylish interior with four spacious cabins and a Jacuzzi on the flybridge. 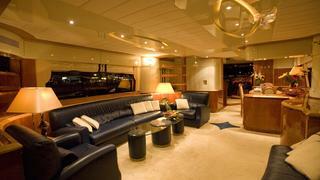 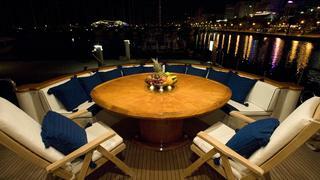 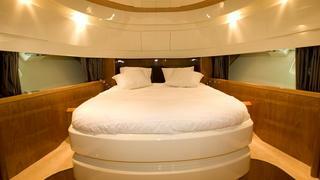 8 guests in 4 cabins with 4 crew. 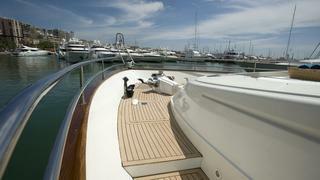 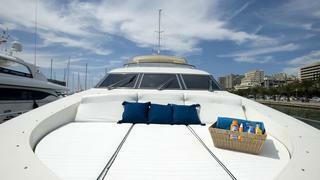 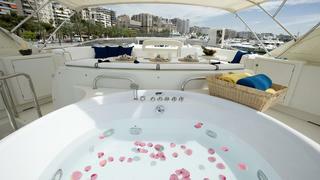 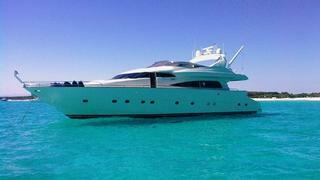 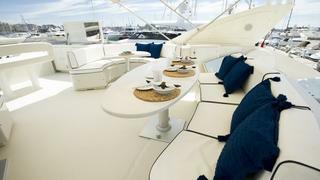 Base port: Palma de Mallorca A Jacuzzi and BBQ on the flybridge, comfortable sunbathing and lounging areas, a great selection of toys and her swim deck allows guests to truly enjoy the outdoors - perfect for holiday cruising around the Balearic islands.